One week's worth of hairstyles - sorted! it's only hair – but we get it! 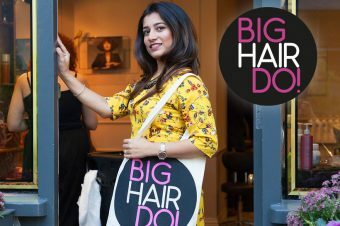 One week’s worth of hairstyles – sorted! Don’t you always feel a bit smug when you plan properly? A meal schedule stuck to the fridge, your working week’s wardrobe all ironed and hung in day order… these are the weekend jobs that, admittedly, are D.U.L.L. at the time of actually doing them, but help you win back time and sanity as the week progresses. A bit of prep can help you win at life, sisters – and that’s what we’re all about here at Layered! Rise and shine, it's Monday! Roll out of bed and throw your hair into these boho plaits. They're super cute but also quick and work well if you haven't had time to wash your hair. Add some bling to a simple, loose plait by piercing it with a simple gold ring. It's a tiny touch that takes your look from zero to hero in seconds, literally. 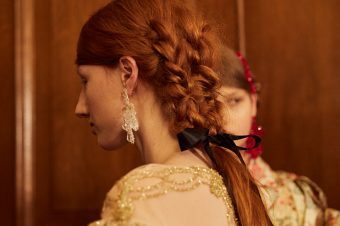 Keep your hair in Tuesday's plait overnight, so your hair has a slight kink. 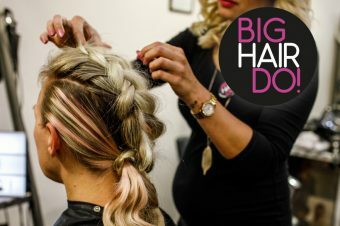 Then scoop up half of it into a loose bun, for a half-up, half-down style - it's the best of both worlds. It's getting towards the end of the week, so keep it chilled out with a low bun, sitting loose in the nape of your neck. Could a style get any easier? Go from desk to dancefloor with a messy topknot. Use kirbygrips to make sure it will stay put all day and all night, and pull strands out for a messier look. It's the weekend so you've got a little more time to beautify - yay! Do your weekend right with the prettiest ponytail imaginable - add a small plait and wrap hair around the tie to disguise it. 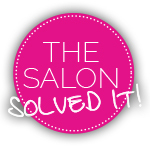 Do we need 24 hour salons?